What is in store for 2019! 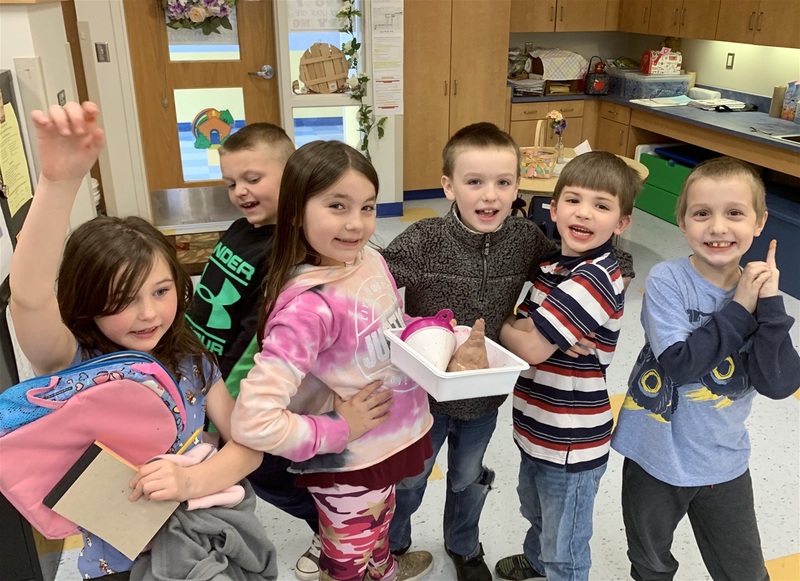 It has been a fabulous 2018-2019 school year in Speech Class! I have been trying to combine as many classroom exercises within my speech lessons as possible and I'm noticing nice, gradual progress already. 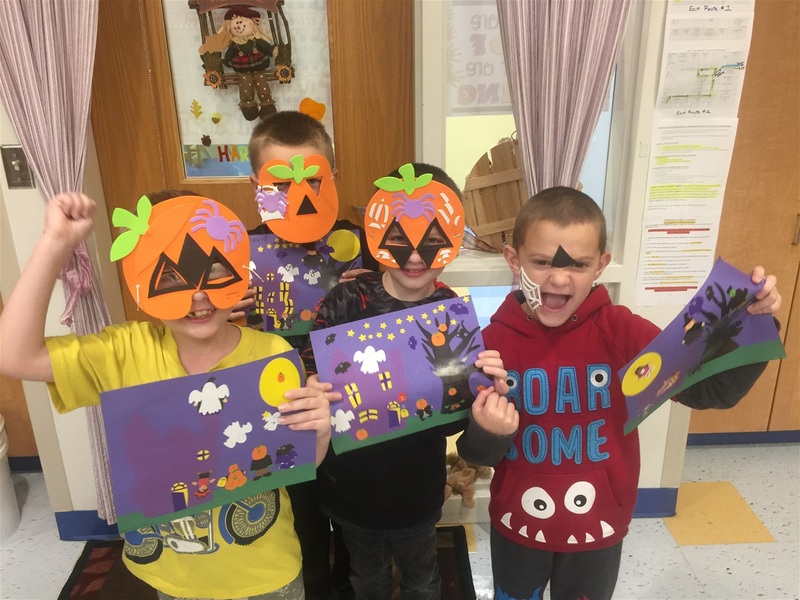 For the first half of the 2019 school year, we have been working on several high interest projects together such as creating our own Super Social Heroes, role-playing our favorite Halloween stories, designing/creating seeds, and writing Thank You cards to Donors Choose for pur flexible seating options. It is my philosophy that a student's speech and language skills ultimately improves when being able to discuss highly motivating topics with others. There will be several photos and lesson summaries to follow throughout this school year. I’m excited to share more updates soon because Speech Class and all of my students truly rock!!! Teamwork Effort To Create Volcanoes! 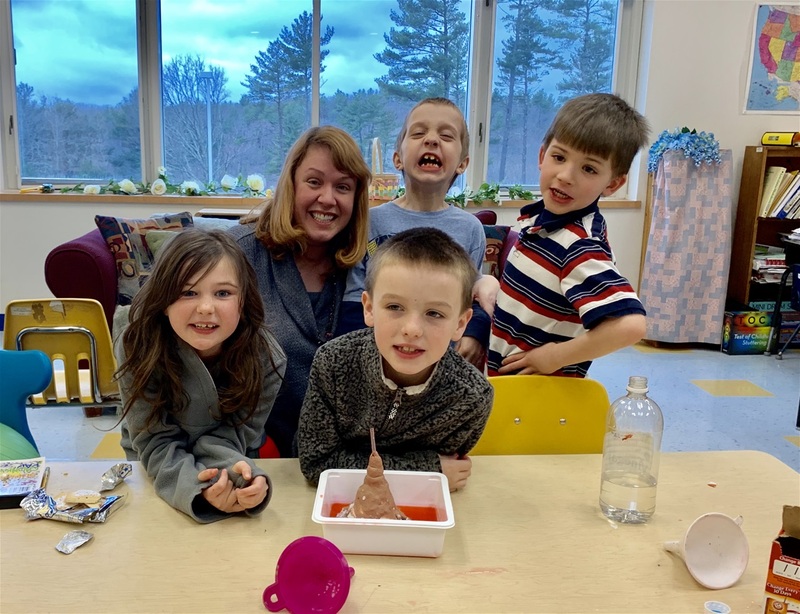 All of my second grade students did an excellent job problem solving and working together as a team to build their volcanoes. 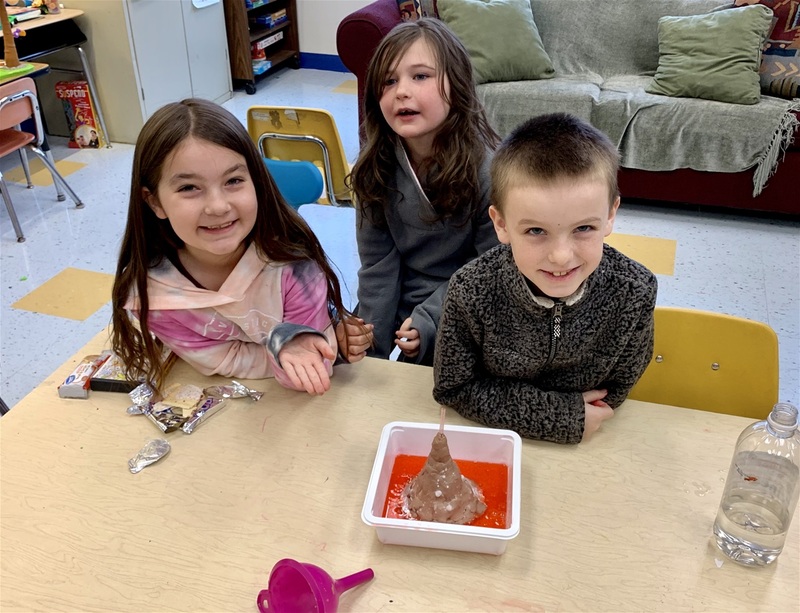 They first had to draft a plan, then construct their volcanoes using particular materials, and finally utilize a combination of baking soda, red food coloring dye, and vinegar to make their volcanoes erupt. I feel so proud of my students for making this project a huge success!!! Creating Valentine Hearts For The Mary R. Fisher Elementary School’s Kindness Tree! 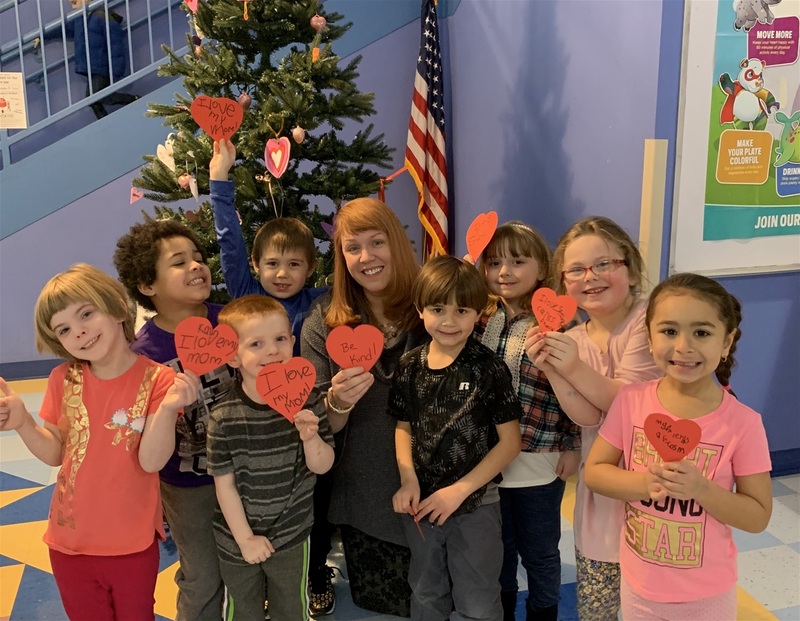 My speech students recently made valentine hearts for their teachers and loved ones, while sharing a special message about how to be a thoughtful friend or family member on one side of the heart! All of these beautiful hearts are displayed within the Mary R. Fisher Kindness Tree in the front lobby!! Fun With Verbs And Sentences! 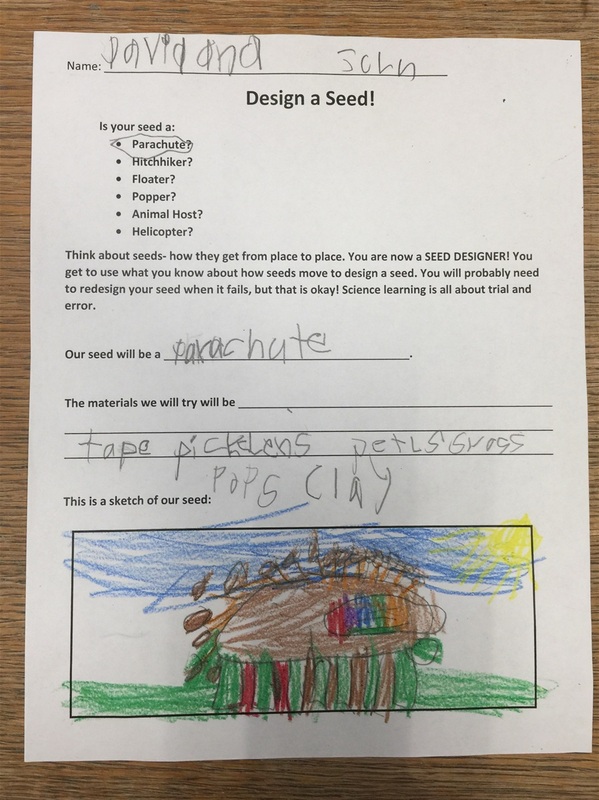 In my professional experience, students often demonstrate more progress when utilizing tactile, hands-on activities. One example includes using the motivating iPad app. 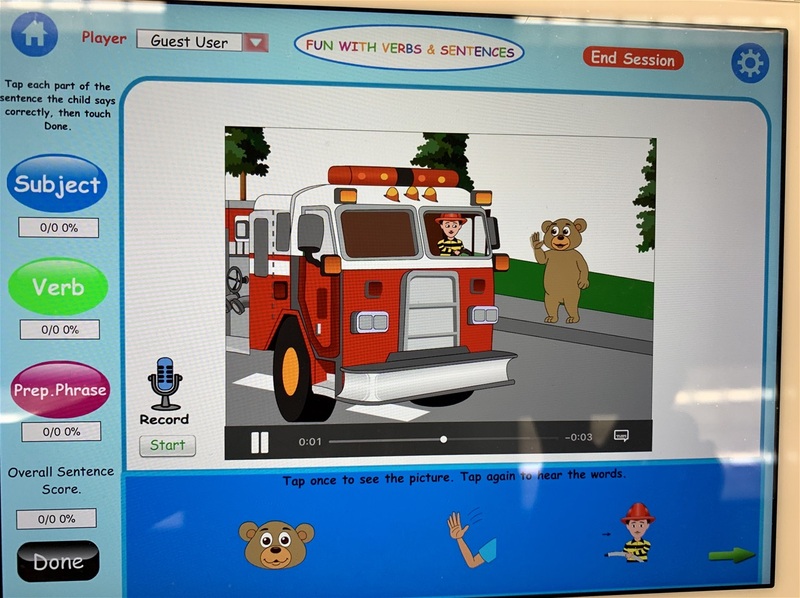 “Fun With Verbs and Sentences.” Children have the opportunity to create complete sentences by tapping on the subjects, verbs, prepositional phrases, and/or direct objects of their choice. 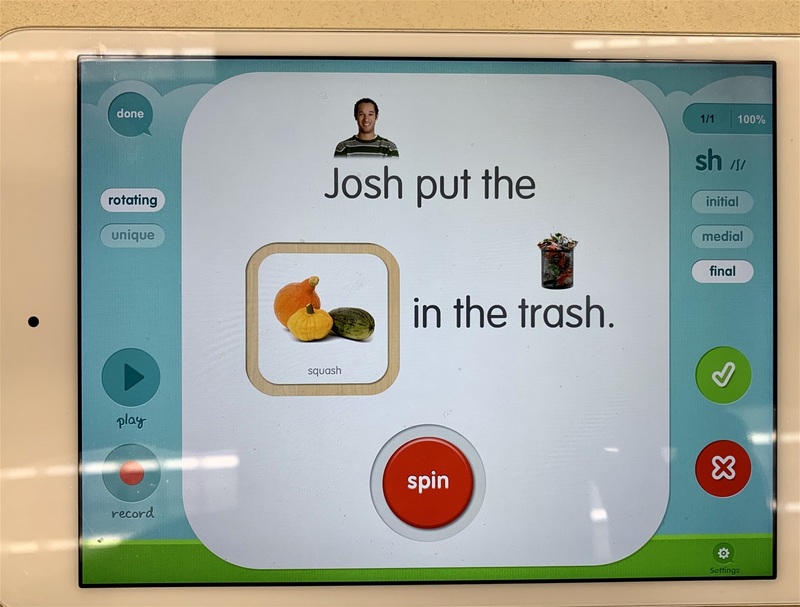 A video is then displayed that matches the sentence the student created and expressed. 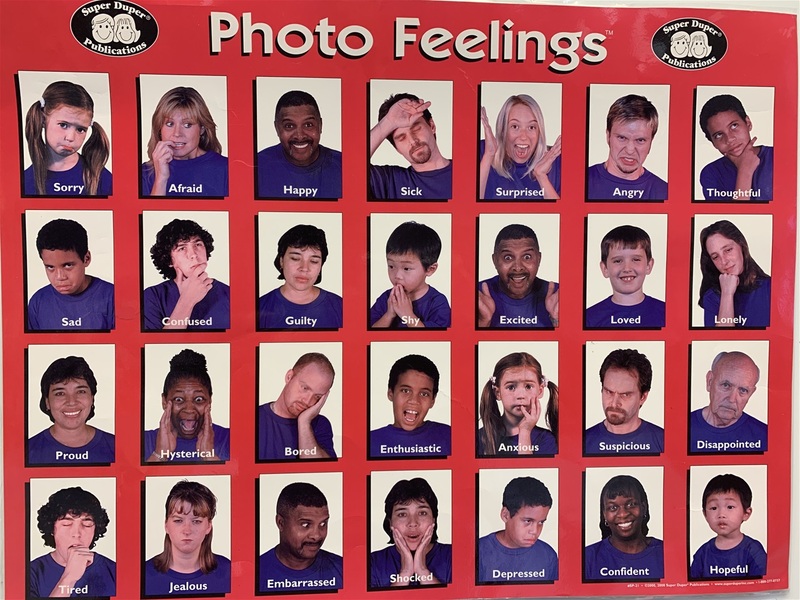 This is a whole learning, multisensory approach that helps students feel empowered while expressing language! 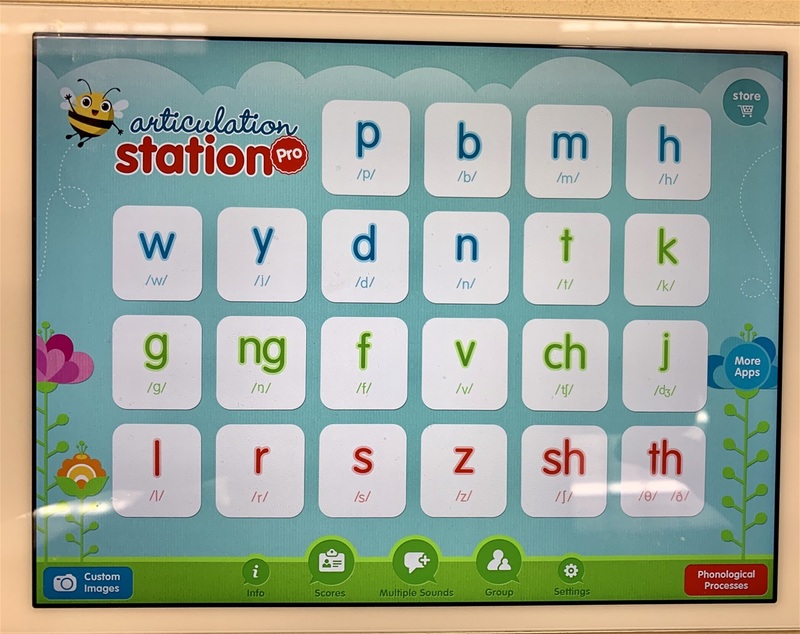 Children learn to articulate their target sounds while using this motivating iPad app that records their voice and allows them to change the words and pictures on each screen. Practice with asking detailed questions. In my professional experience, one of the best ways for children to practice asking specific "Wh" questions is to play a guessing game. During this time the student narrows down the possible answer choices by asking questions about the person, place, or item you have in mind. 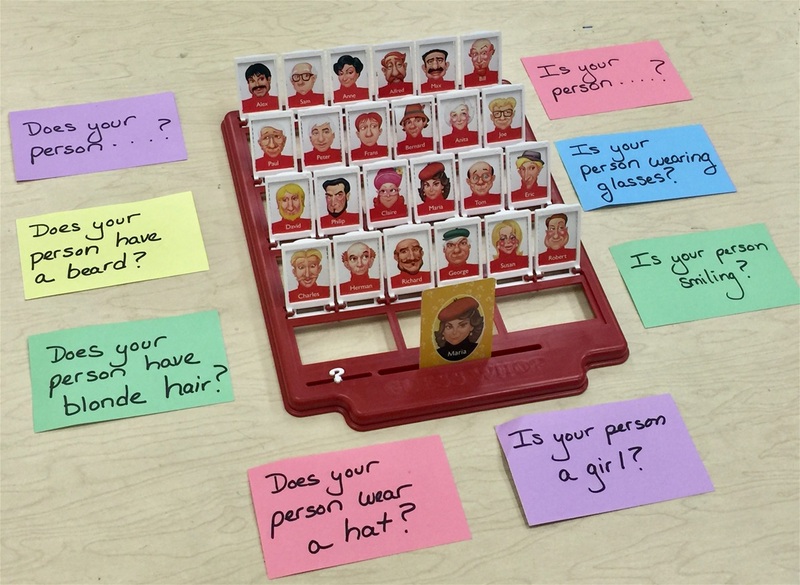 Perfect examples of these types of games include "20 questions", "Who Am I? ", or "Guess Who?" 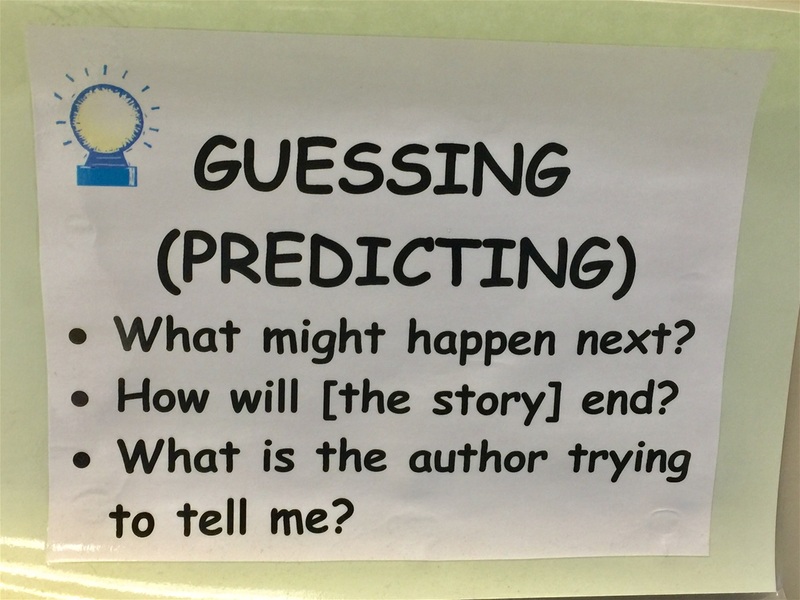 During these games children need to ask really specific questions in order to figure out the final answer. Certain questions can range from "Does your person wear green glasses? ", "Are you a type of transportation? ", to "Where do you live?" 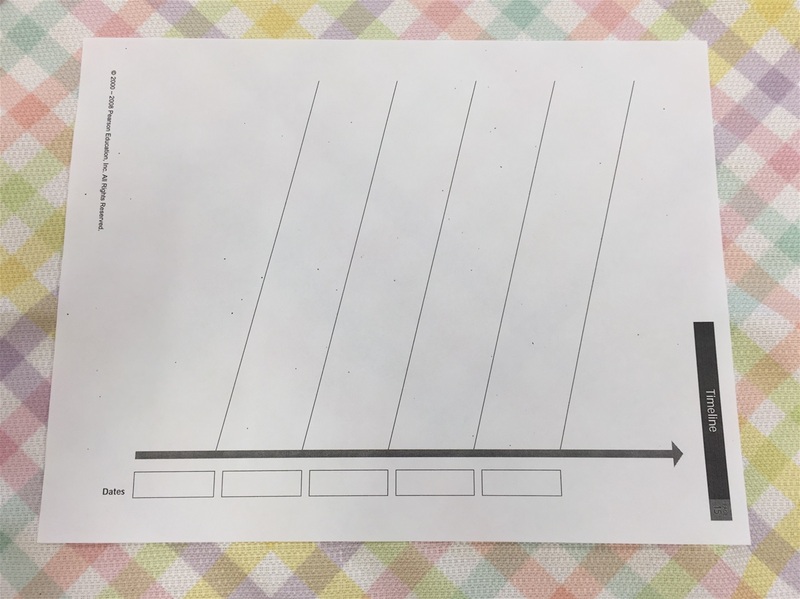 You can modify the lesson by providing question sentence starters on flashcards or providing a box of answer choices, while gradually fading out these various prompts over time. 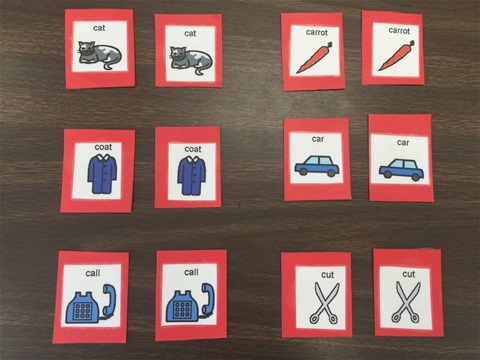 By turning this language exercise into a fun game, it not only makes learning more motivating, but also makes it easier for a student to recall these types of question formats later. It's time to start being a great detective by investigating through the art of questioning!!! 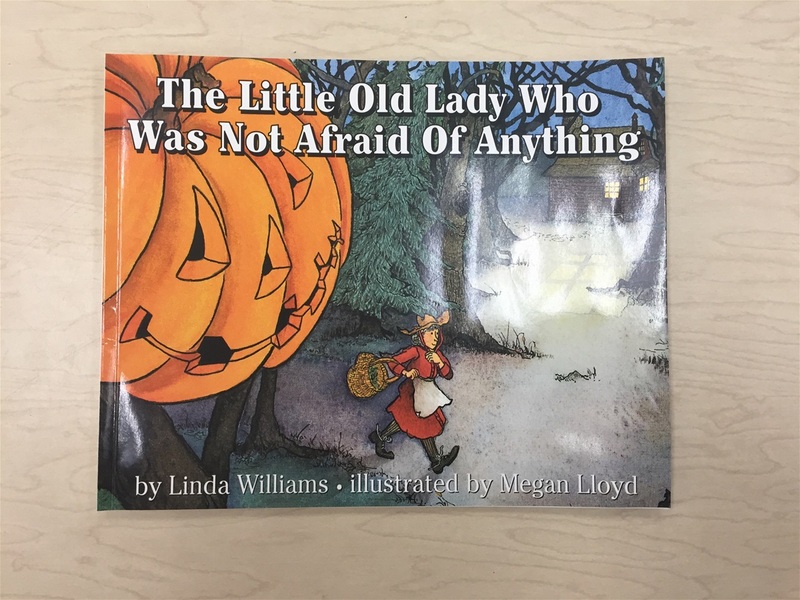 Role-Playing scenes from students’written Halloween stories! Combining Speech Class with Science Class! 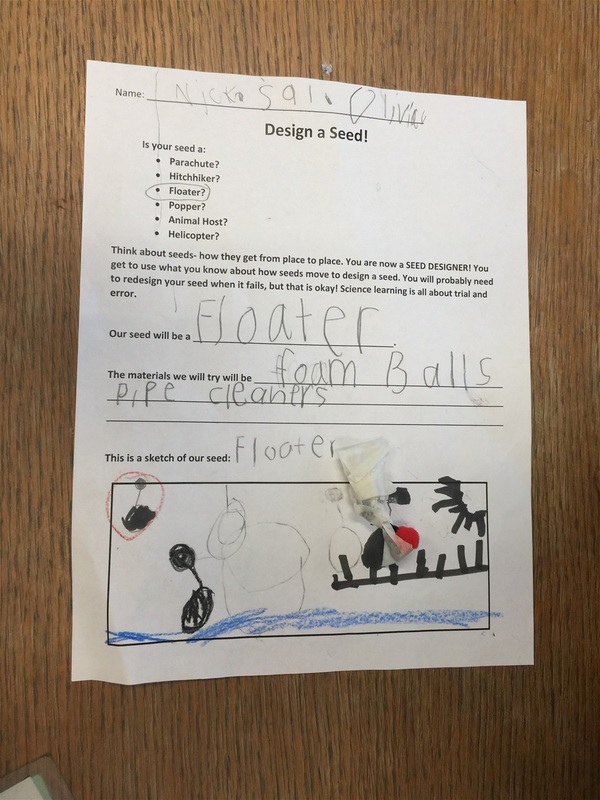 Empowering Students With Flexible Seating Options! 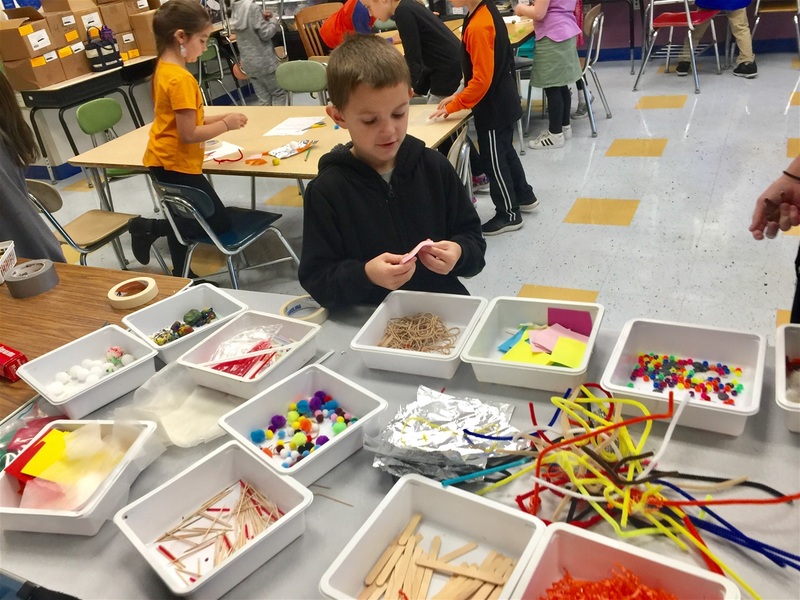 I am thrilled to inform everyone that my project "Empowering Students With Flexible Seating Options" has just been funded through the DonorsChoose.org. I will now have several options available to suit each student's individual learning style. I am very grateful for all of the donors who generously contributed to this project. I will make sure to include pictures and updates on both this speech website and the Donors Choose website. This is already a wonderful start to the school year 2018-2019! 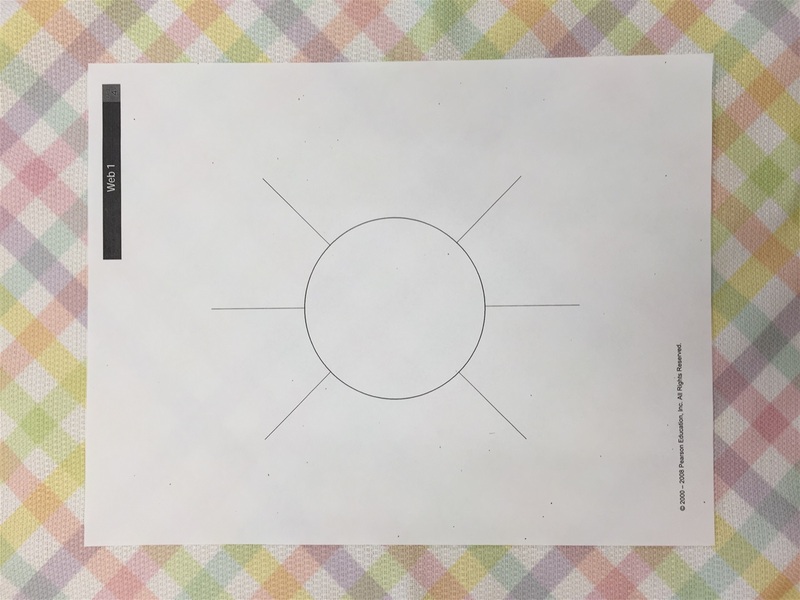 Visualizing Techniques When Following Directions. Repeat and Picture Spoken Information. 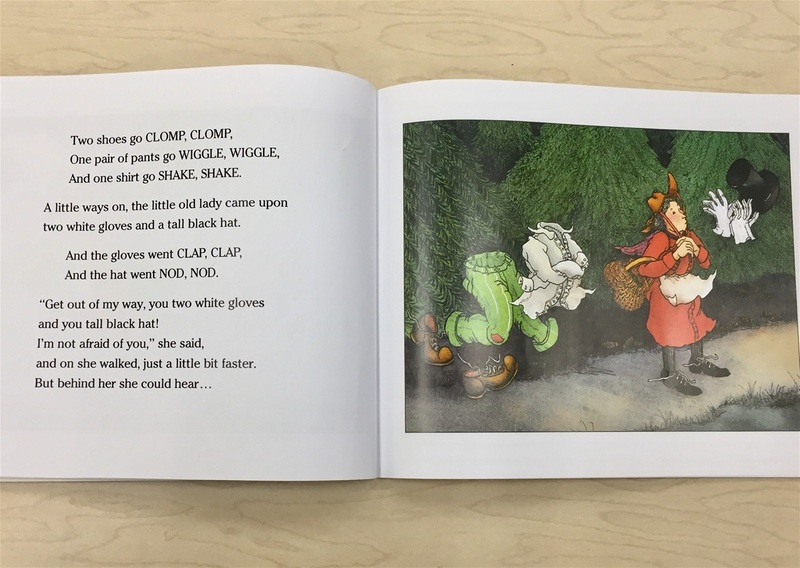 When listening to directions and spoken short stories, it can sometimes be difficult for a student to recall all of the details. That is why I often implement various visual strategies. One technique is called “Repeat” and “Picture”. By having the student slow down to imagine all of the details, it helps to cement the information within the memory. 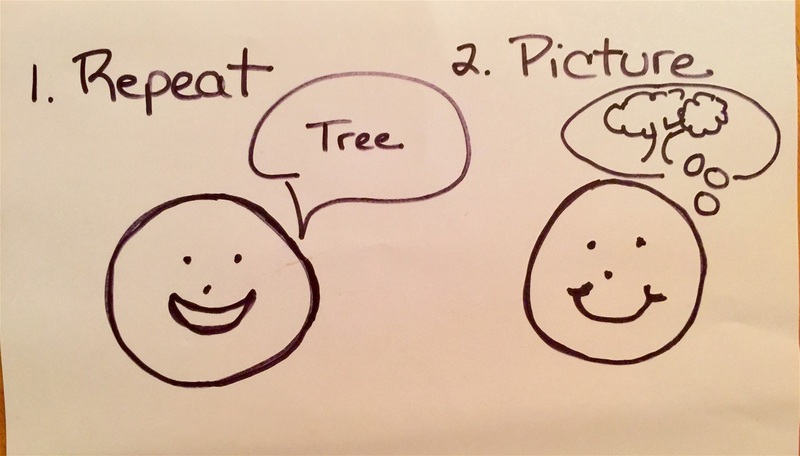 You can ask the student specfic questions about his/her image to ensure true visualization is taking place (e.g., “Is the dog you are picturing tall or short?). 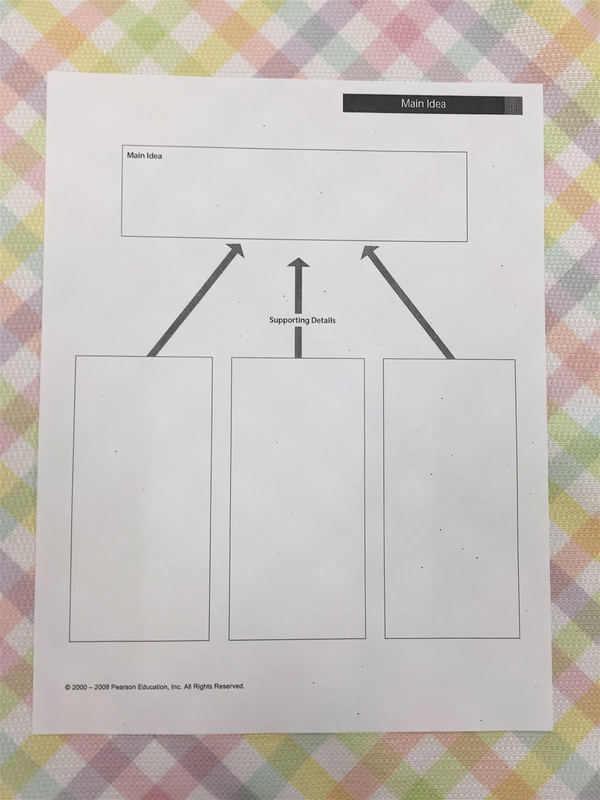 In my professional experience, most students perform better at processing verbal information when taking the time to use this important visualing strategy. Fluency Strategies Are Effective Speech Tools! 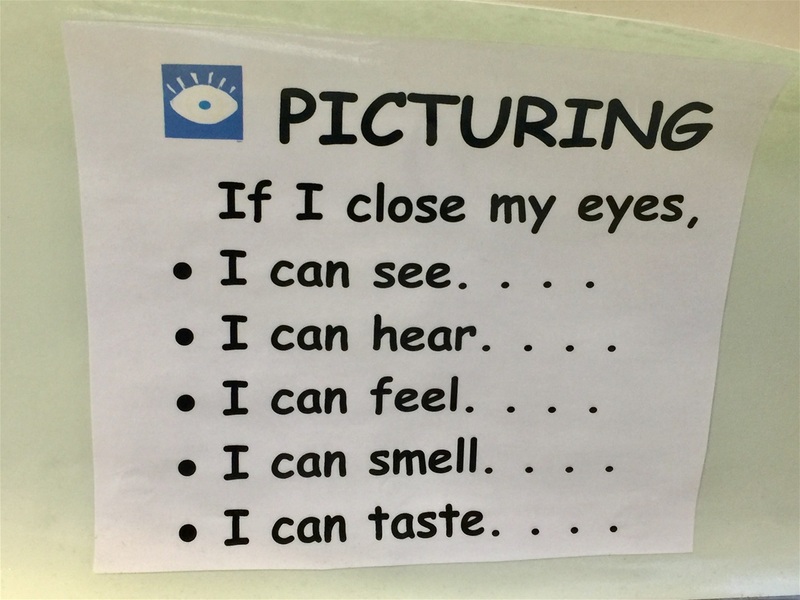 These visual fluency picture cards serve as very effective tools! I have used these with several of my students who stutter. 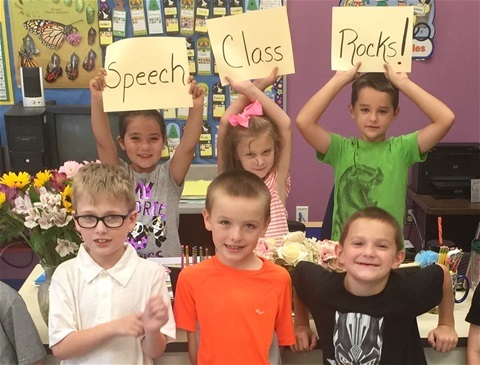 This helpful strategy reminds them about using their smooth speech techniques. These tools include taking breaths between phrases or natural pauses, speaking at a slow rate, streching out particular sounds, and using light articulatory contacts (light touching of the lip, tongue, and vocal folds when producing a sound). Parents can feel free to schedule a separate meeting with me, so that I can demonstrate these fluency strategies for home practice. Practicing speech sounds can sometimes feel a bit monotonous when carrying out the same kinds of routine exercises. 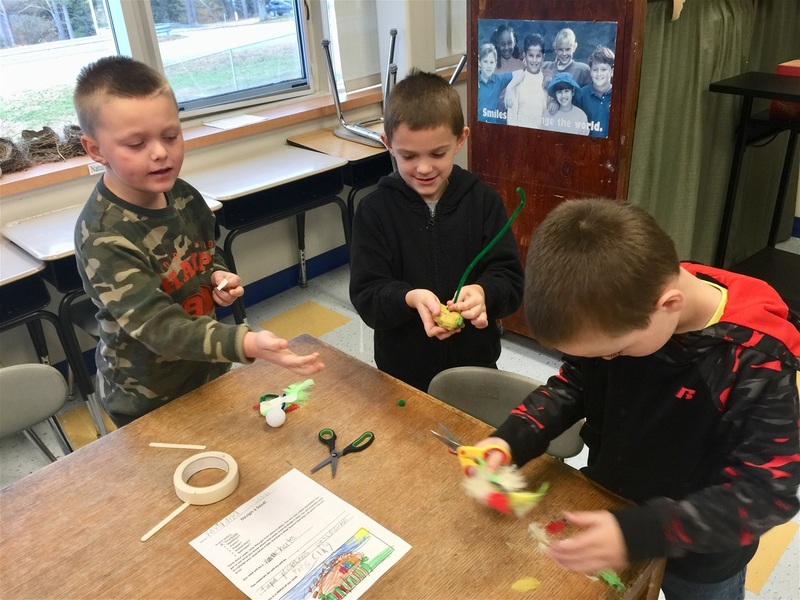 That’s why it is so important to try to vary the activities for elementary school children as much as possible to keep them engaged and motivated. Try to make 2 copies of each picture that contain a targeted speech sound. In the example above you see speech words that start with the /K/ sound. 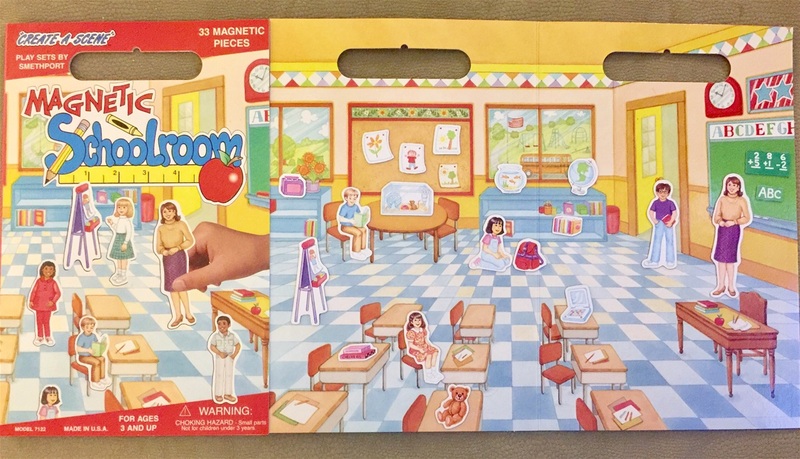 You can play games like “Go Fish”, “Memory”, “UNO”, “Hidden Pictures”, and “Twister” with your speech words. It takes a little extra work for teachers and parents, but a lifetime of fun memories and mastered speech skills for each child! Speech Driver and Learning to be Independent! Sometimes just a simple visual cue is all a child needs in order to self correct. 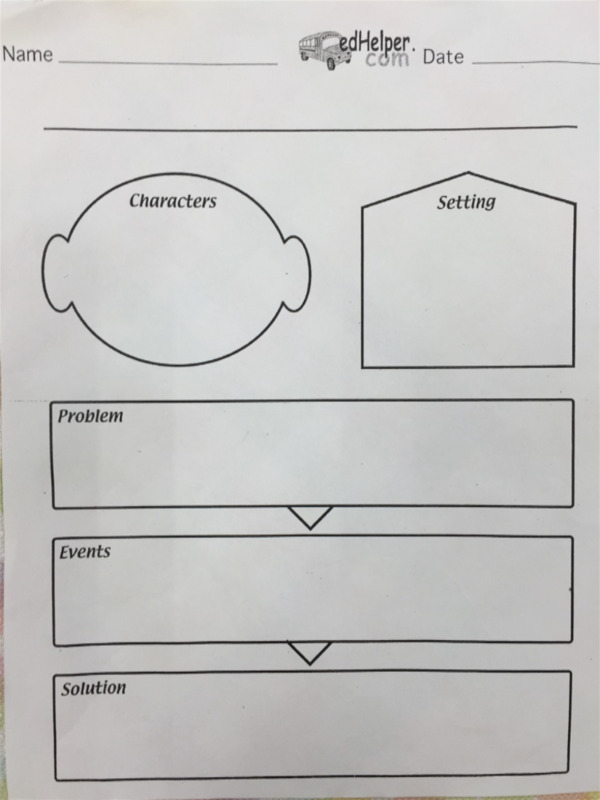 I created this simple visual chart to help my students self monitor their own speech skills. The main goal in the end is to have them in the driver’s seat and in charge of their own speech goals. One way to do this is have your child tape record his or her own speech. 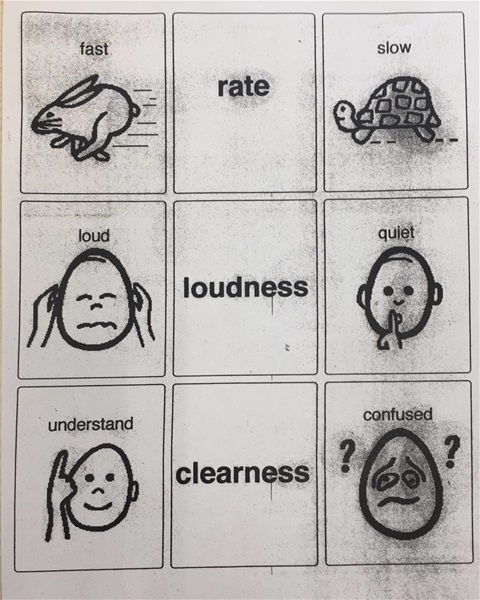 When the student plays back the recording, he/she can rate each of the 3 main areas above (rate, loudness, clarity of sounds) on a scale of 1 to 5. 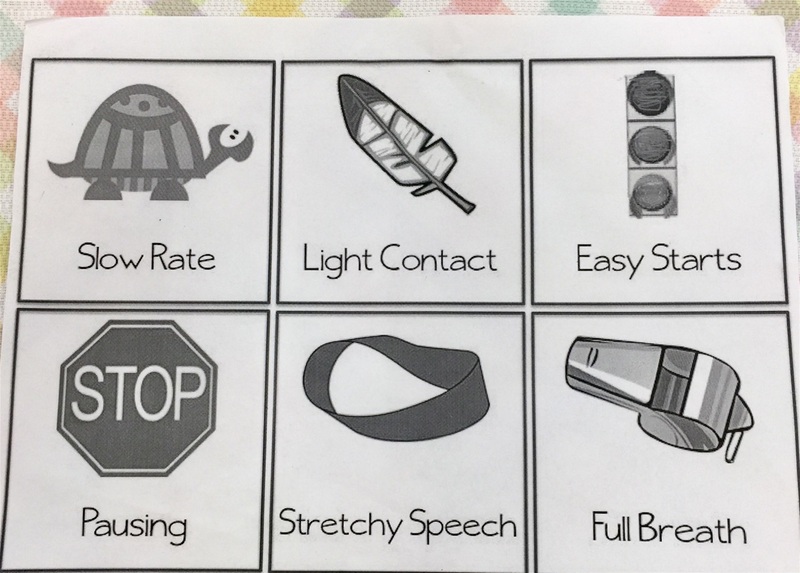 Once the child starts obtaining consistent “5”s on their charts with your rating approval, then those great speech habits start carrying over into spontaneous conversation! Keeping on track with a given activity can be very challenging, especially when a child is distracted. By having a type of token system and even rule cards in place, this helps the child follow a structured activity and lets him/her see there are only a certain number of items left to complete until theyo earn their reward. 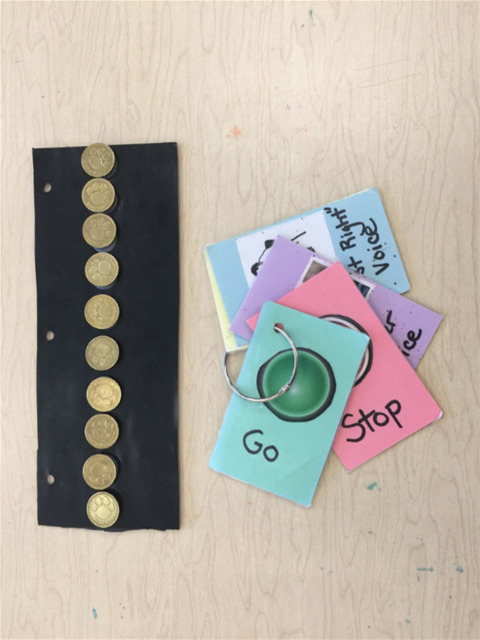 By seeing there is an “end to the means” and a motivating reward og game time is in sight, it can really help motivate the child to complete the activity. 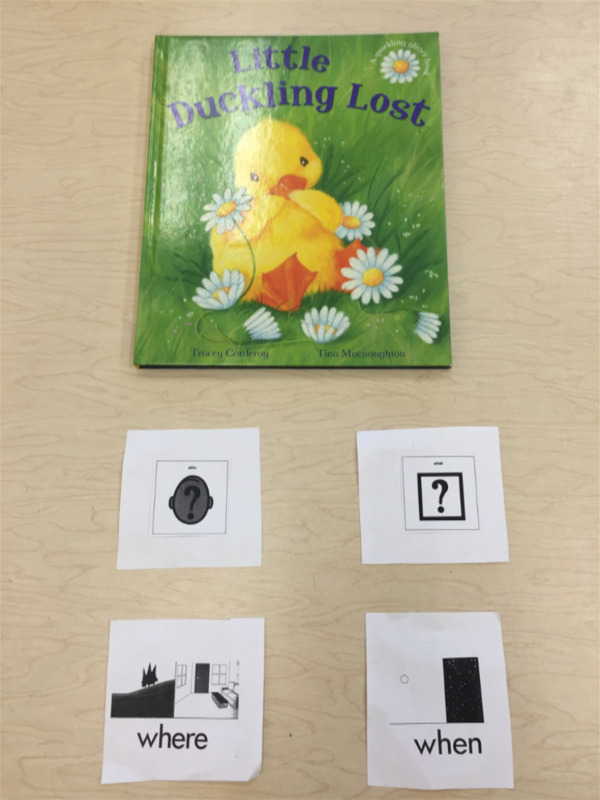 “WH” questions during story time. 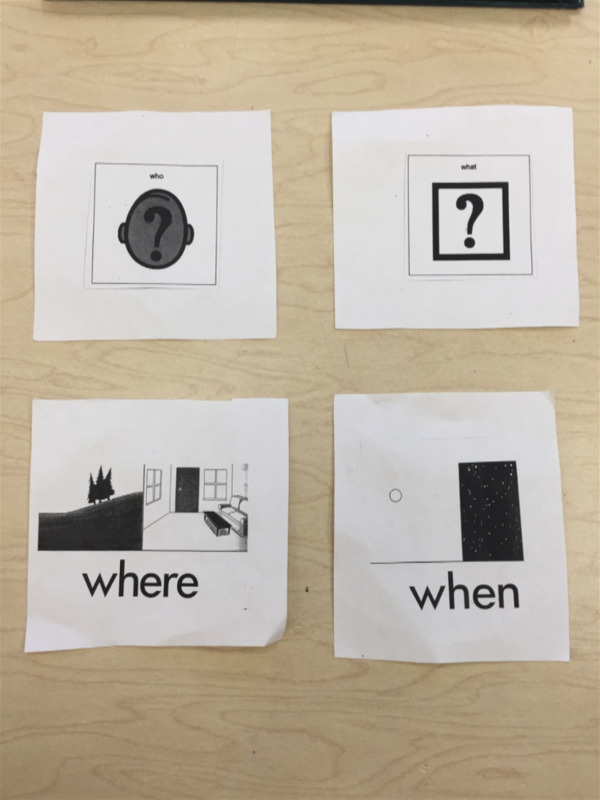 Pairing “wh” visual question cards that match your spoken question can really help students to gain a better understanding of each question. Try to gradually fade these cues over time when possible. Students have been using “Braidy” the Story Braid Puppet and bookmark during my speech classes to help them organize and recall the events of a story. 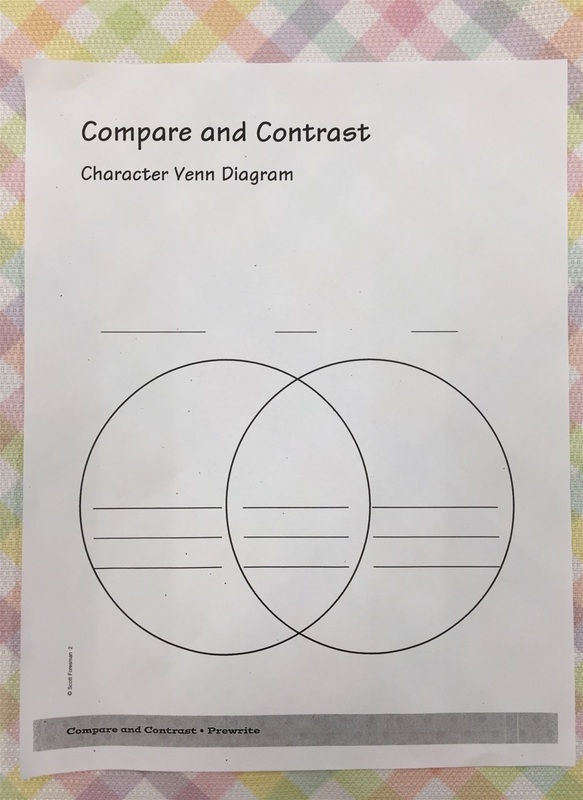 Significant progress has taken place when my students use graphic organizers and story puppets like these to help them recall the correct sequence of events. Progress has increased from 70 to 86% accuracy when using these visial aides before retelling the story. 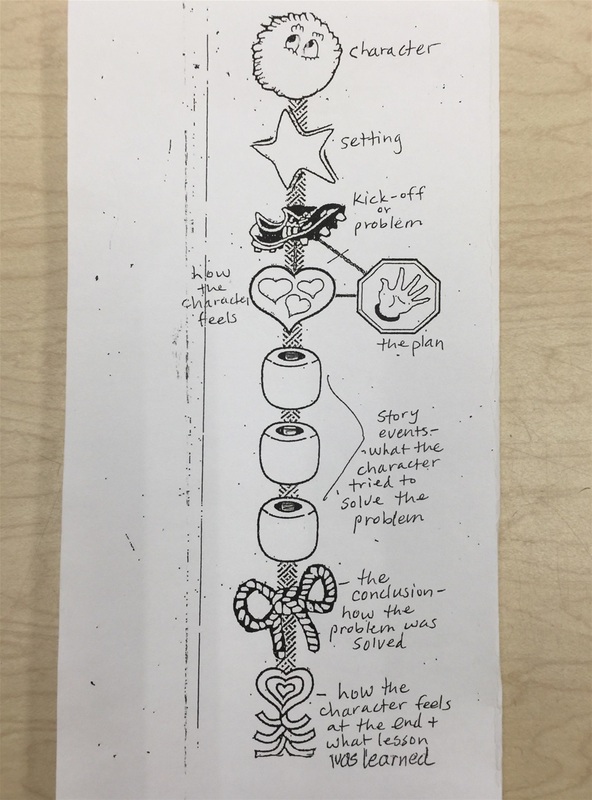 Copies of the the “Story Braid” bookmark will be included in the student’s speech folder for home practice as well!